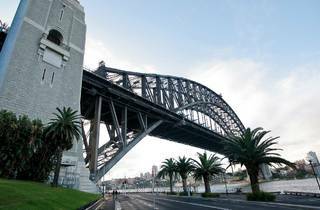 Long before the Opera House was built, Sydney had ‘the coat hanger’ as its icon. 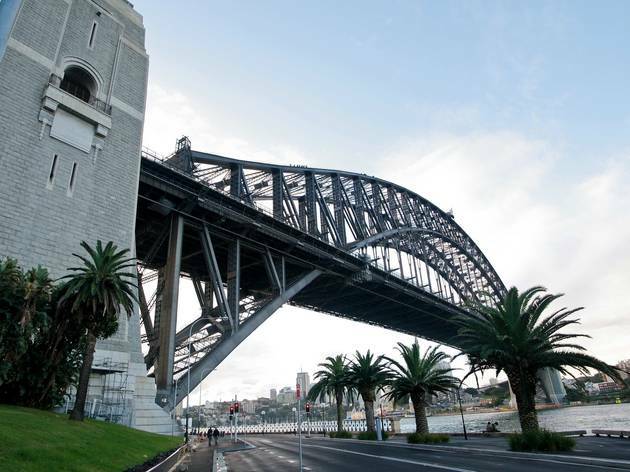 Locals had dreamed for decades of a bridge to link the north and south harbour shores before construction of the ‘All Australian Bridge’ began in 1924, by which time Sydney’s ferries were struggling to carry 40 million passengers a year. The winning design came from English firm Dorman, Long & Co, but used Australian steel, stone, sand and labour. Families within the path of the new bridge and its highways were displaced without compensation, and 800 houses were demolished. A total of 1,400 workers toiled on the structure, which is 134m (440ft) high and 1,149m (3,770ft) long, and was the world’s largest single-span bridge when it was constructed. It took eight years to build, and workers grafting without safety rails took great risks: 16 died. The opening ceremony in 1932, broadcast around the world, was interrupted by a lone horseman – disaffected Irishman Francis de Groot – who galloped forward and slashed the ribbon with his sword, declaring the bridge open in the name of ‘the King and all the decent citizens of New South Wales’. De Groot’s organisation, the New Guard, resented the fact that a representative of the King hadn’t been asked to open the bridge. After the police had removed him (he was later fined £5), the ribbon was retied, and the ceremony resumed.